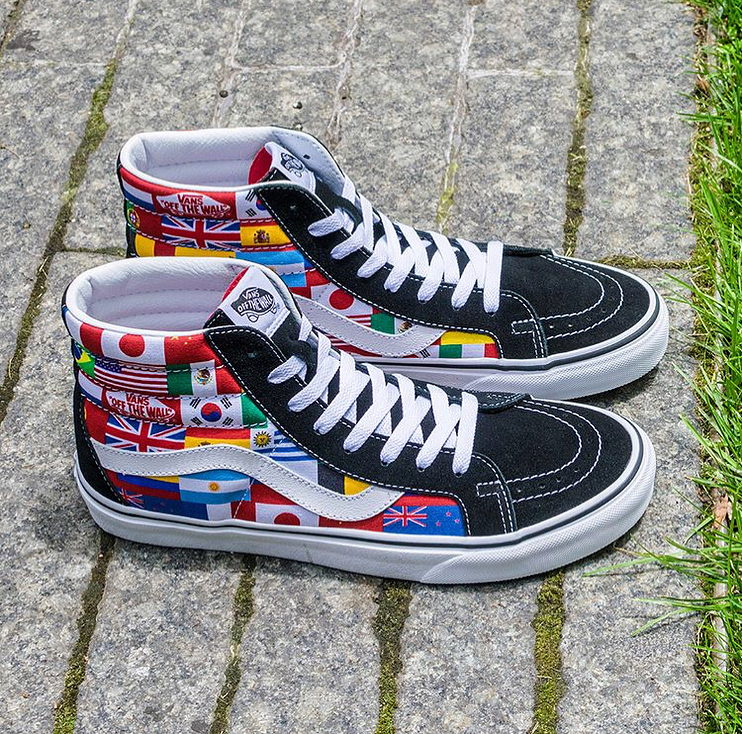 Vans SK8 Hi "International Flag"
Vans has released a Vans SK8 Hi “International Flag” as a nod to the current World Cup festivities taking place in Russia. 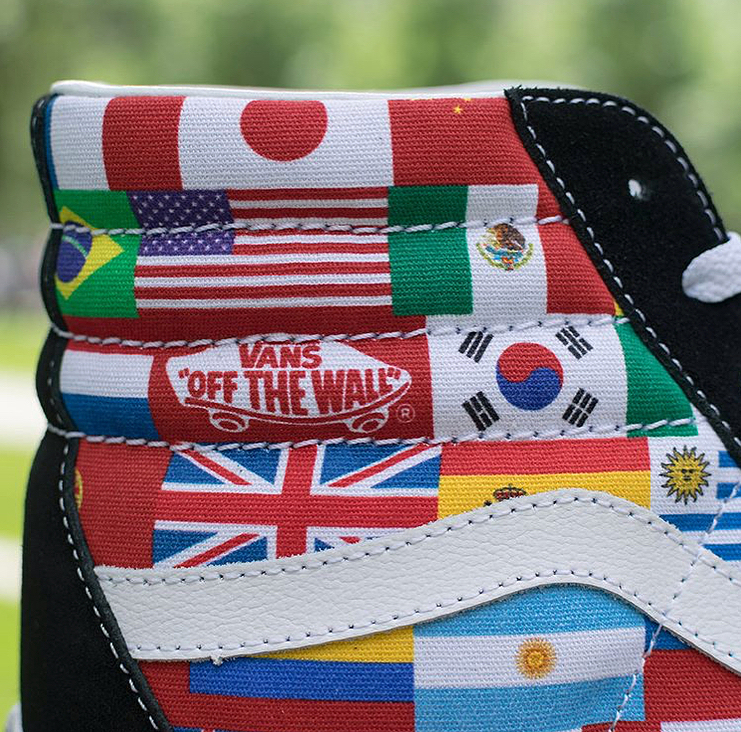 The SK8 HI features flags from just about every country participating, with the exception of a few. 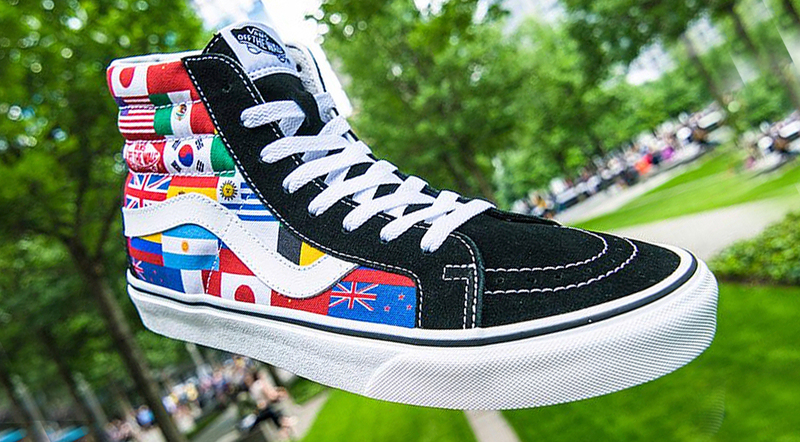 Classic Vans branding finishes these off nicely, with an amazing array of flags throughout. 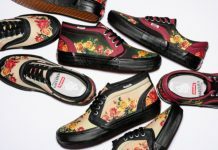 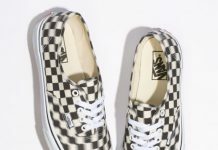 Look out for these to release at Vans retailers across the globe including your local skate shops.